The products will be shipped on Monday or Tuesday by EMS after your when your payment has been confirmed if you order from abroad. It takes two to four days to Japan, Hong Kong or Southeast Asia, and three to five days to to China, Australia or USA, and four to six days to Europe. *Please note that delivery speed may slow down in your domestic area and we have no responsibility for it. Many foreigners visit the shop since it opened in 1952. They provide EMS service and it takes two or three days for Asian countries. Ice packs can be in the box to ship overseas. 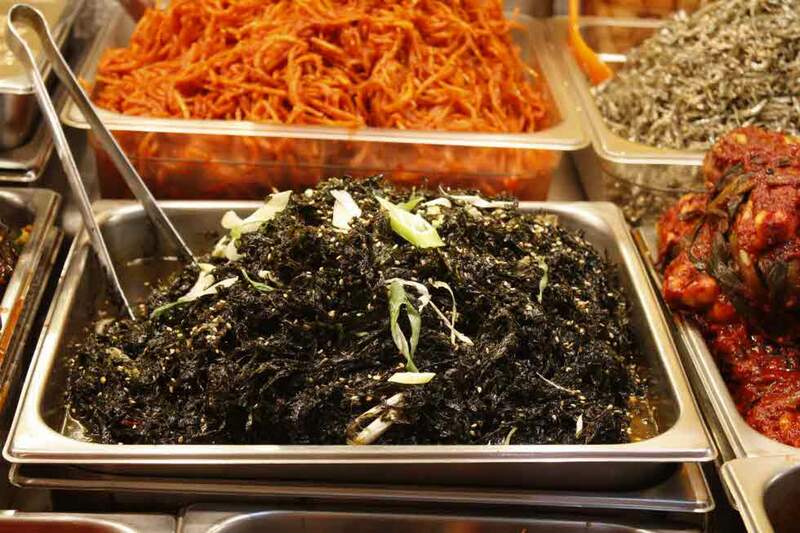 Jeotgal or jeot (Korean pronunciation: [tɕʌtkal]) is a salted fermented food in Korean cuisine. 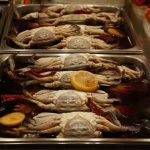 It is made with various seafood, such as shrimp, oysters, shellfish, fish, fish eggs, and fish intestines. 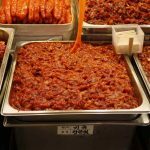 Jeotgal is mainly used as a condiment in pickling kimchi and as a dipping sauce for pig’s feet (jokbal) and blood/noodle sausage (sundae). 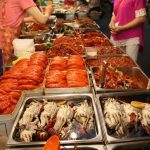 Sometimes jeotgal, commonly saeujeot, is added to Korean style stews (jjigae) and soups (guk and tang), for flavor instead of using salt or soy sauce (ganjang). 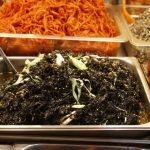 The types of jeotgal vary depending on main ingredients, regions, and family and personal preferences. In past times, due to the limited transportation, regions near seas had more types of jeot compared to the inland areas. 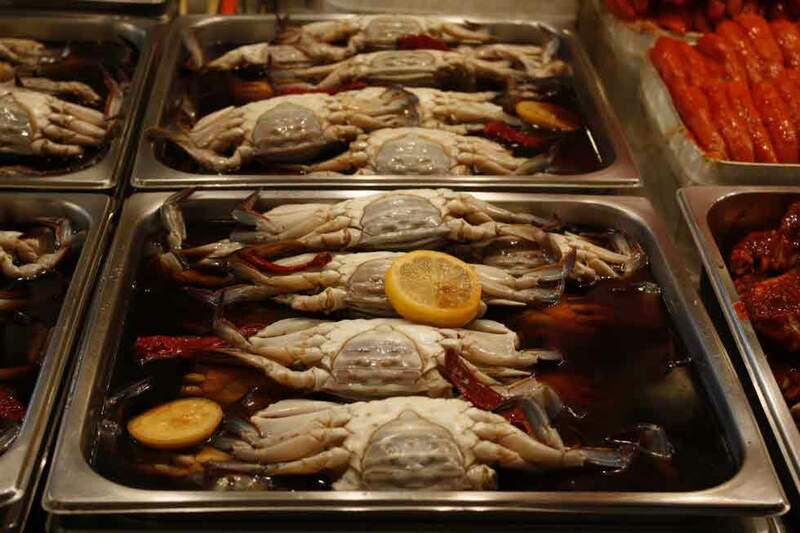 Gejang or gejeot is a variety of jeotgal, salted fermented seafood in Korean cuisine, which is made by marinating fresh raw crabs either in ganjang (soy sauce) or in a sauce based on chili pepper powder. 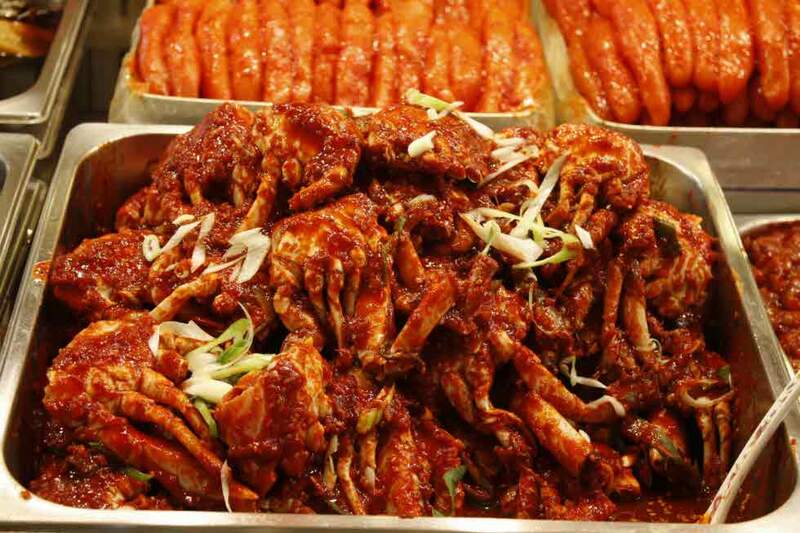 The term consists of the two words; ge, meaning “a crab”, and jang which means “condiment” in Korean. 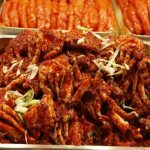 Although gejang originally referred only to crabs marinated in soy sauce, it has begun to be called “ganjang gejang” these days to differentiate it from yangnyeom gejang (양념게장). 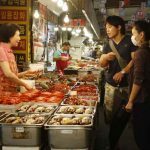 The latter is relatively a new dish that emerged since the restaurant business began to thrive in South Korea. 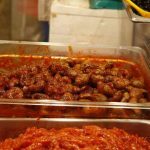 “Yangnyeom” literally means “seasoning” or “seasoned” in Korean but refers to the spicy sauce made with chili pepper powder. 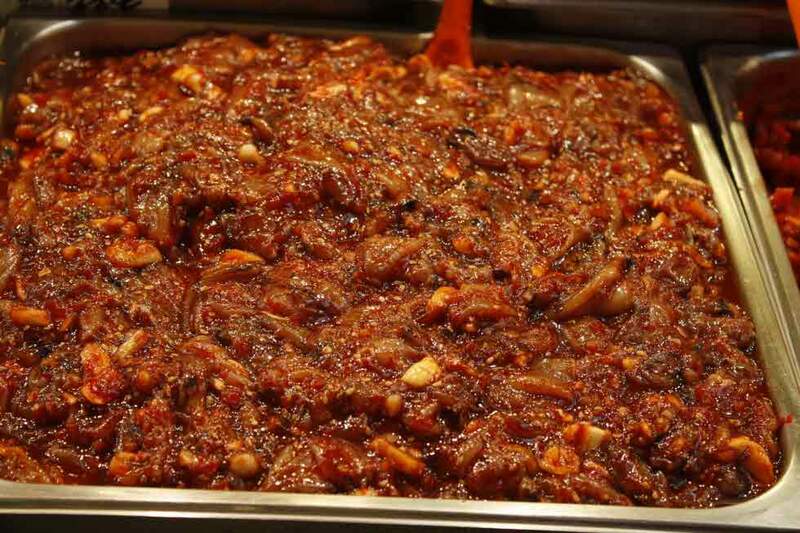 Plum jangajji is made fromplums and HC Wellbeing Food’s sticky rice gochujang and fermented in jars. It has no preservatives and no colorings. 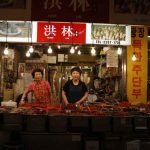 Bokkeum is a generic term to refer to a Korean dish made by stir-frying ingredients in a sauce. According to Korean dictionaries, the verb form of bokkeum, “bokkda” (볶다) means “cooking dried ingredients over heat.” However, bokkeum not only refers to dishes made by stir-frying ingredients to a dry state, but also indicates dishes with a thick sauce after cooking. 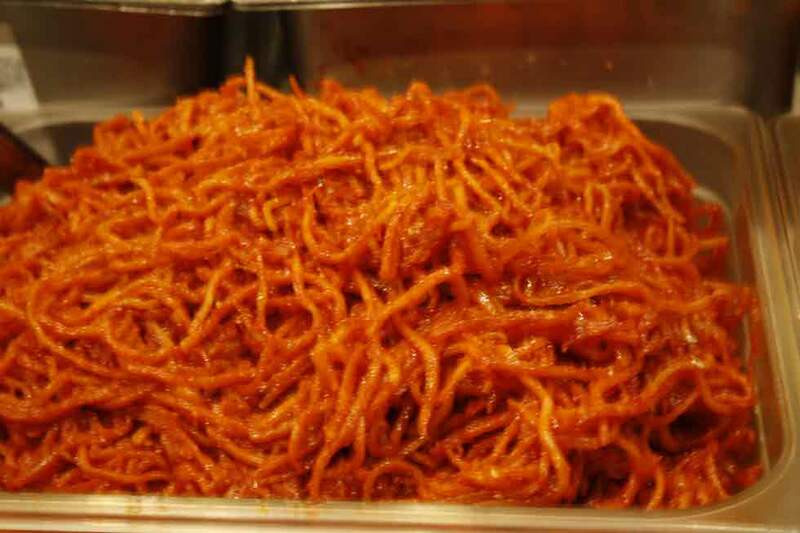 Cut the dried shredded squid into smaller pieces (approximately 4cm). Pour some oil on a heated pan and put the dried shredded squid and stir-fry thoroughly in low heat. 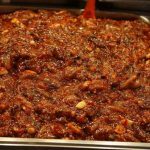 Set aside the cooked squid and pour gochujang, sugar, cooking wine or water in a pan. 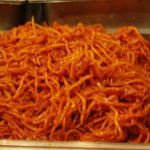 When the ingredients start to boil, add the cooked dried shredded squid and mix together until the sauce gets on the squid evenly. Add some sesame oil and sprinkle some sesame seeds for garnish.